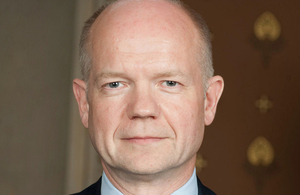 Below is the text of the speech made by William Hague, the then Leader of the Opposition, on 12 May 2000. And I am sure you will all agree what a truly excellent job has been done in converting an historic, but disused, Stable Block into premium, state of the art commercial offices. Thanks to this project we now have some of the most prestigious offices in the North-East of England. I can think of no more attractive environment, here in the Aske estate, in which a company could wish to locate. They are ideally situated for access not just to the major commercial centres in the North-East such as Darlington, Middlesborough and Newcastle, but also to Leeds, Bradford and York. London is only 2 ½ hours away from Darlington station, while Teeside airport is only half an hour away. And of course Richmond itself is only a mile away. All of us hope that in addition to securing the long-term future of this magnificent listed building, and providing these modern offices, the Aske Hall conversion will help to bring much needed jobs back into the rural economy. As Roger Tempest pointed out, this entire scheme has been devised and completed by his company, Rural Solutions – a Yorkshire company I am pleased to say – that specialises in the regeneration of rural buildings and land. Rural Solutions are providing a model of rural regeneration and diversification not just here in Yorkshire but across the entire country. I strongly welcome that, because far too often we hear politicians glibly talking about the need for diversification in the rural economy not just as the answer to everything, but also in the mistaken belief that it can suddenly be achieved overnight – as if just talking about it will somehow make it happen. Such attitudes reveal a profound ignorance of the countryside and agriculture. As you and I know the reality is far different. For many farmers, already struggling to make any sort of living in current conditions, diversification is not something they can suddenly achieve on a whim, or on their own. Diversification can raise highly complex issues in which farmers are not necessarily experts. They require help with things like access to new capital, marketing advice, help with planning applications, somebody to carry out construction work. That is why I believe that the private sector has such an important role to play. The work of Rural Solutions in the Aske Stable Block conversion demonstrates that role clearly, and with such impressive results. But there are things that the Government could be doing too. Many farmers find that when they try to diversify they face many costly and bureaucratic obstacles. That is why my party is looking at new policies that would help to ease many of the burdens that are currently associated with diversification. We would like to hear direct from farmers which of those obstacles they would most like to see removed. Issues like diversification have never been higher on the agenda for Britain’s farmers. And for one good reason – because farming, the countryside and our entire rural way of life is under threat as never before. Put bluntly, the countryside faces an uncertain and bleak future. Take agriculture. I hardly need to spell out the basic facts. Farm incomes are down a massive 75 per cent since 1997; the average incomes of hill farmers are down by another third this year; 25,000 jobs linked with the pig industry have been lost. And behind those statistics are stories of misery, bankruptcy and hardship not seen in rural Britain for generations. Nobody pretends that every problem in British agriculture began on 1 May 1997, but nobody can ignore the fact that since then the problems have become much worse. In response we have had platitudes, re-announcements and endless phoney initiatives and summits none of which have begun to tackle the chronic crisis that we face. Even the extra £200 million that Tony Blair promised in emergency aid after his Downing Street “Farm Summit” has turned out to be fraudulent. Just like last year’s much trumpeted farm-aid package that was condemned by the all-Party House of Commons Agriculture Committee as “misleading”. This year the Government has pulled off the same accounting tricks. For instance they portray the maintenance of the existing levels of support for hill farmers as new money, and seek the credit for waiving regulatory charges that they themselves had introduced. The fact is that even if we could believe the Government’s own figures, the money amounts to little more than sticking plaster for an industry in danger of bleeding to death. There is still no sign that the Government has any long-term solutions. I can’t pretend that there are any quick fixes or easy solutions. The problems facing farmers are in many cases too deep-seated for that. But I can set out what a Conservative Government would be doing differently or not at all. One of the solutions that I would not be putting forward is that farmers would be in a better position if Britain joined the euro. Of course I understand the problems of that the high pound causes as farmers try to maintain their competitive position. But I do not accept the case that this would be helped by the euro. In fact signing up to the euro now be disastrous for our farmers as we simply maintain the disadvantage caused by the current exchange rate in perpetuity. No – the only answer to the high pound is a different economic policy that contains spending, keeps inflation firmly under wraps and helps to bring down interest rates. But if there are no quick fixes, there are things that the Conservative Party in government would be doing to ensure a fair deal for Britain’s farmers and a secure, long-term future for the countryside. For a start we can stop the import of food into Britain that falls short of the hygiene and animal welfare standards that we impose here. It defies common sense to expect our farmers to survive when they are faced with regulations that do not apply elsewhere. We can also make sure that there is honesty in food labelling. It is crazy that food can be packaged and produced as if it were British without it containing any ingredients grown in this country. So we shall ensure that all consumers know the country of origin and the method of production of the food we are eating. We can stop farmers being crushed under the weight of pointless, ill thought out and ill conceived regulations which mean that many farmers spending as much time filling in forms as working on their farms. So we would bring common sense to farming regulations and force Ministers to cut the burden of red tape on farming year on year. We can stop the Government stealth taxes on farming – like the energy tax that will still cost farmers millions despite the temporary concessions made in the Budget. We can encourage our young people to go into farming and introduce retirement schemes so that family farms can be passed on to future generations. We can stop the bulldozing of our best agricultural land and the current policy of allowing housing development to go ahead on previously protected land. The Government should not be building on our best farmland. The Government should go to Brussels with the determination to fight Britain’s corner as our European partners fight for theirs and to ensure that Britain’s farmers can compete on a level playing field. So there are real and practical measures that the Government should be taking to help ease the crisis in British agriculture and help to promote a flourishing rural economy. But agriculture is only one part of a much wider crisis that is afflicting the whole of rural Britain that has been caused by an urban culture at the very heart of Government. It is an urban culture that has no instinct or sympathy for the countryside and our rural way of life. It is an urban culture that cares even less about the people who live there. It is an urban culture that arrogantly dismisses and discounts the views of those who live in rural Britain, those who know the countryside best, while at the same time trying to impose the values of Islington wine bars on them. All too often the impression is given that this urban elite sees the countryside as some kind of theme park – a kind of rural version of the Dome – rather than a place in which real people work and live. The results have been disastrous. It has produced swingeing increases in petrol duties so that we now have the most expensive petrol in Europe and people in rural areas – where the car is essential – are priced off the road. It has produced the remorseless bulldozing and concreting of the countryside to build homes for commuters to satisfy John Prescott’s arbitrary housing targets. It has produced plans that threaten the closure of rural post offices, for so long a cornerstone of village life in rural areas. It has produced the statutory right to roam without a thought for farmers or of the real needs of conservation. It has produced vindictive, ignorant and opportunistic attempts to ban country sports despite the facts that it would destroy centuries of tradition, strike at traditional bonds of community and endanger thousands of jobs. So it is little wonder that the Countryside Agency’s ‘State of the Countryside’ report, published last month, described a rural economy which contrasts sharply with the Government’s own claims that ‘in broad terms the countryside is prosperous, contented and reasonably well served’ or the Prime Minister’s comments in the west country in February that despite the headlines the countryside had no real problems. Instead it revealed deep-seated economic, social and environmental problems many of which have are the direct result of Government policy. I believe that rural Britain deserves better. Rural Britain deserves being listened to rather than being lectured. It deserves to be understood rather than ignored. It deserves to be protected rather than plundered. It is crying out for policies that help it rather than continue to harm it. Rural Britain is crying out for a Government that believes in the countryside, that values the countryside and will work for the countryside.